The Chinese smartphone company Xiaomi is known for offering feature filled affordable smartphones and it has been popular in the Indian market for quite some time. And the newest in the Note line-up from the company, the Redmi Note 7 which will have a 48MP primary camera has become one of the most popular and talked about phones even before its launch here. The industry along with other users in India are talking about how great the phone will be, already. Its release in India is expected soon. But before its launch the price at which the Note 7 will be offered is dominated currently by Samsung’s M series which was sold online and was sold out within minutes. So, Note 7 has a competition even before its launch. The Samsung Galaxy M-series is the newest line-up from the South Korean tech giant which is offering Full HD+ Infinity-V display, dual rear camera setup, an octa-core processor and huge battery backup with room for more, and all of that at an affordable price. This the price segment where Xiaomi is dominant and with Samsung stepping up the game, it has sent shivers up Xiaomi’s spine. 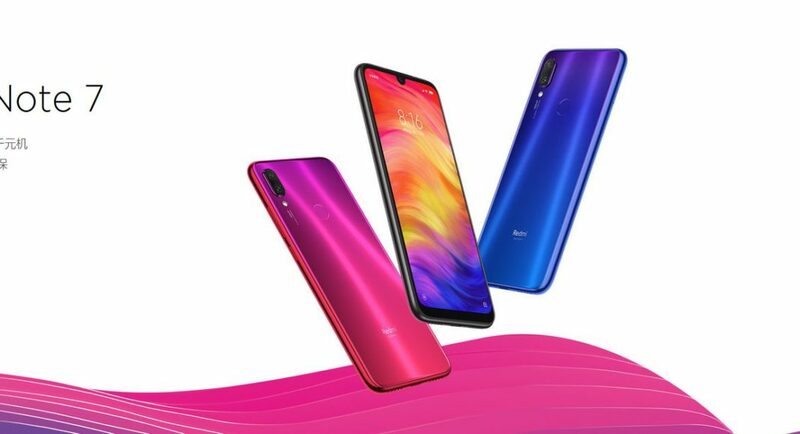 Talking about the Redmi Note 7, it will be Xiaomi’s first smartphone with a behemoth 48-megapixel camera. It will also have a 6.3-inch Full HD+ display with up to 6GB RAM, a Qualcomm Snapdragon 660 SoC and much more. And the company will be offering all this at an affordable price for which the Note series is known for, no doubt people are excited. But recently, Xiaomi has called out Samsung and is claiming that its Note 7 has a better AnTuTu benchmark score than the Samsung M-series. Xiaomi went as far as to make fun of Samsung on Twitter saying that “Are you serious? Don’t tell Mi you’re going to choose a ‘M’obile with TFT display!” Since both the M10 and the M20 uses a TFT display while Note 7 comes with a better display. It might be possible that the company is bringing the heat with the Note 7 in India soon and it’s also possible that its price will be same as the M-series. The starting price of Redmi Note 7 in china was RMB 999 which is roughly Rs 10,500 so we can expect the Note 7 to be priced around the same. And if it is then Samsung might lose its fair share of the mid-range smartphone market to Xiaomi, or will it?